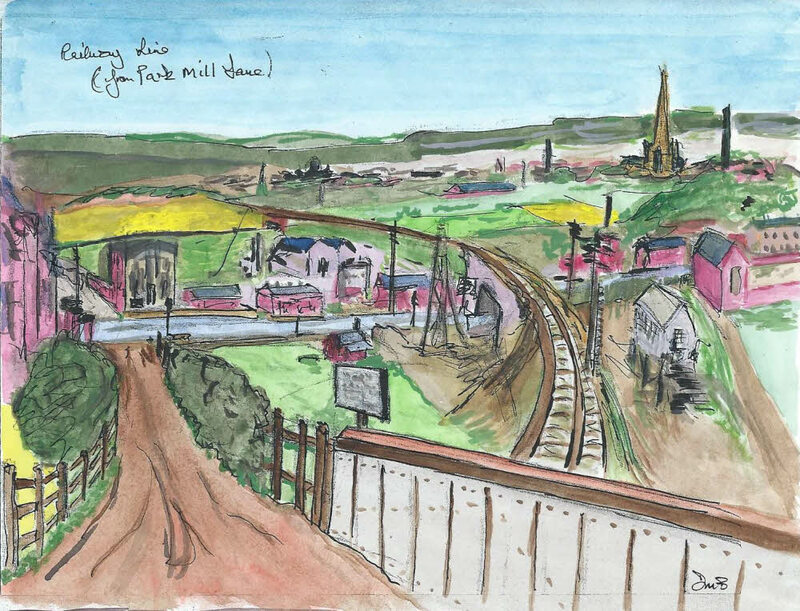 The Railway Line from Park Mill Lane with Bethel Chapel in the near distance on Wakefield Road opposite to Park Mill Lane. The railway line crosses the Wakefield Road and the landmark Holy Trinity church can be seen in the top right background. 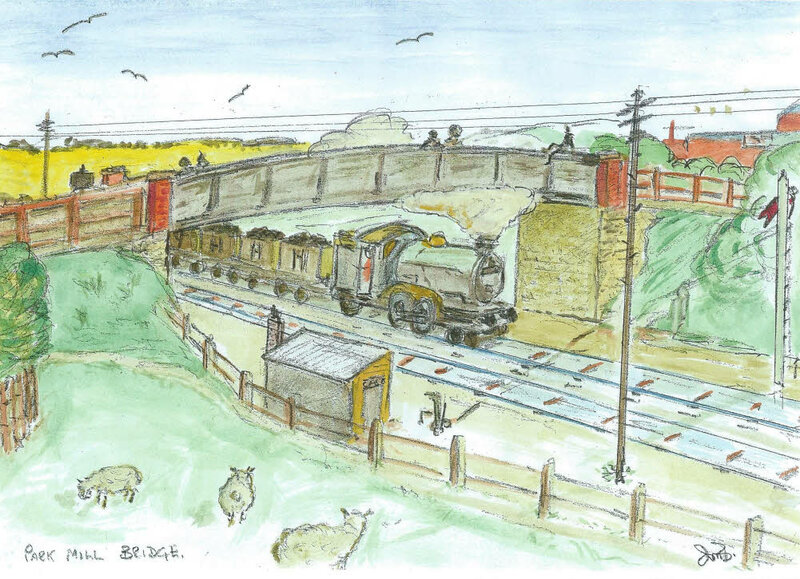 The Railway Bridge on Park Mill Lane with the coal train from Roundwood Pit passing beneath. Flushdyke School is shown in the top right.